The COAI said the Telecom Regulatory Authority of India (TRAI) has created an environment of unequal footing amongst the telcos. 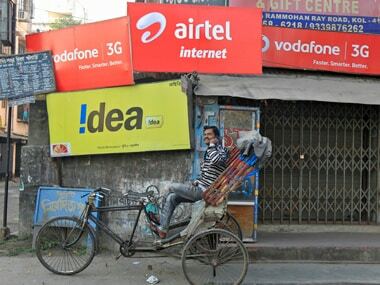 Taking its grievances against the telecom watchdog's recent order on telecom tariff amendment a step further, the Cellular Operators' Association of India (COAI) on Wednesday said it may take legal action and a decision on this should be taken by next week. The COAI said the Telecom Regulatory Authority of India (TRAI) has created an environment of unequal footing amongst the telcos with the older ones feeling deeply victimised and let down. "We will speak to all our members and look for a consensus on the next steps to be taken. There has to be a public debate first and we have started that. The stakeholders including the DoT (Department of Telecommunications), PMO (Prime Minister's Office) and the courts need to look at this and take a stand on whether it is even-handed or not," said Rajan S Mathews, Director General, COAI. Last week, the sector regulator said it would impose financial disincentive of up to Rs 50 lakh per circle on operators if their service rates are found to be predatory in nature. The Telecommunication Tariff Order published by TRAI on February 16 said: "The definition of Non-discrimination provides a clear benchmark to telecom service providers to bring tariff offers to consumers on a non-discriminatory basis." "The telecom tariff order (TTO) issued by the telecom regulator is the latest of a number of regulations that are distorting the competitive landscape in favour of one operator while putting all other operators at a serious disadvantage," COAI said without naming Reliance Jio. COAI also said: "Competition is an absolute necessity in any industry and in the interest of customers, it must also be fair. TRAI is legally bound to ensure orderly growth of telecom sector and also ensure level playing field for all participants."